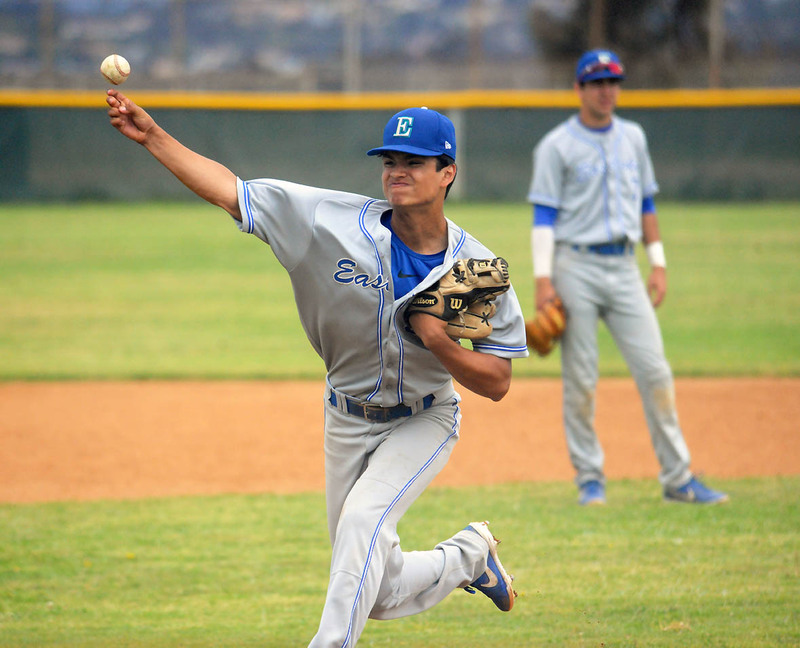 The Eastlake High School baseball team finished runner-up in last year’s San Diego Section Open Division playoffs. The Titans, who were seeded No. 1, lost their first game in the double-elimination tournament but gave a courageous effort to battle back to force a championship rematch against eighth-seeded Poway. 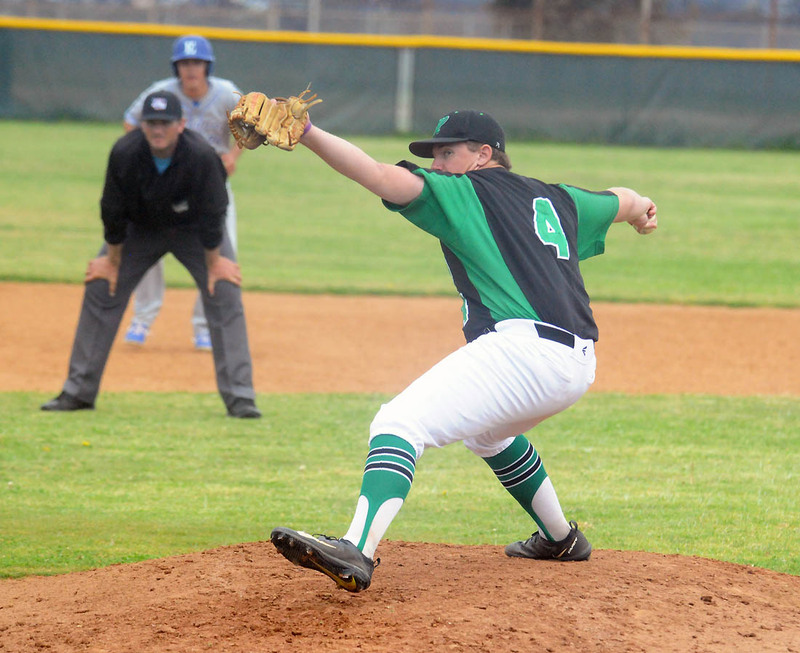 Poway won, 5-4, in the clash of teams with Titan nicknames to turn the division on its head. Eastlake is back on top of the section rankings with a commanding 14-1-1 record this spring. 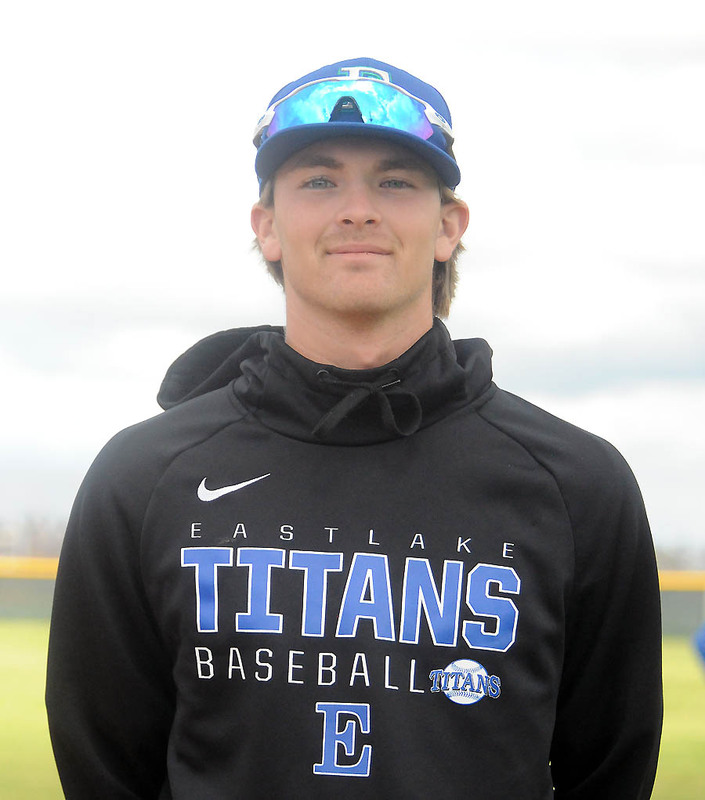 The Titans defeated host Hilltop, 9-2, in a Mesa League game last Friday to extend their current winning streak to eight games. 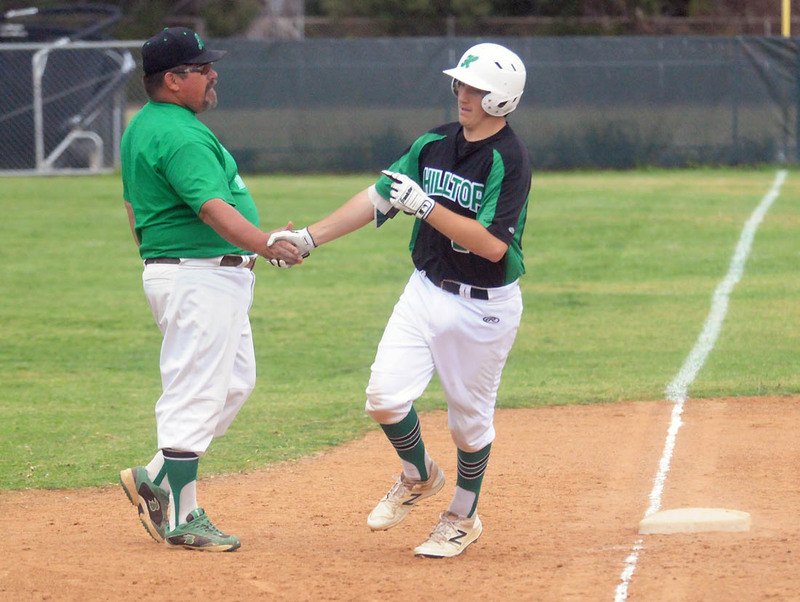 EHS head coach Dave Gallegos said his team is taking matters slowly this season, careful not to look too far ahead, especially with the youth laden squad this year. “We’re a young team,” Gallegos said somewhat cautiously. “They just believe they can win. Our pitching has been phenomenal. Great kids, very coachable. We have some seniors who are carrying the group. 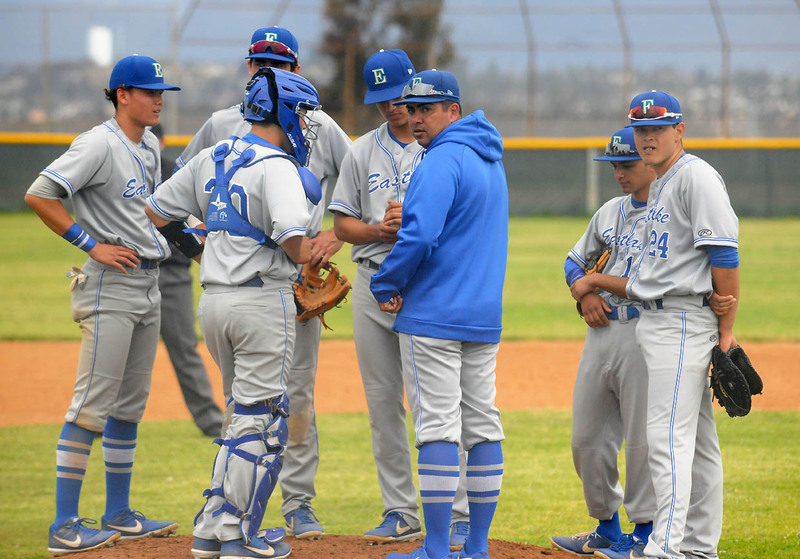 Seniors who have stood out so far this season include SDSU-bound pitcher Ricky Tibbett and third baseman-pitcher Keoni Cavaco. 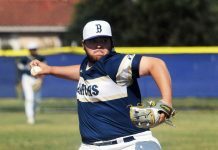 Tibbett improved to 4-0 on the mound after tossing a one-hit shutout against the visiting Hilltop Lancers on April 3. 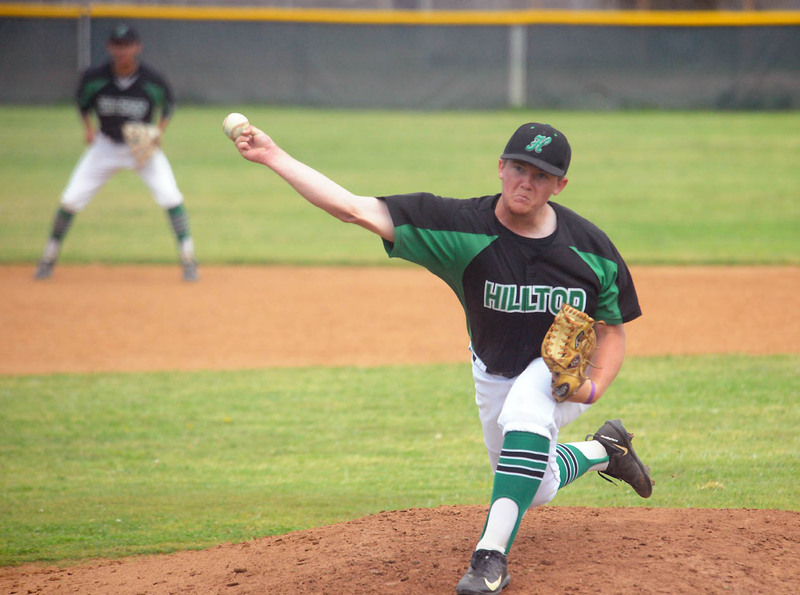 Tibbett struck out 10 batters as he carried a perfect game into the seventh inning. 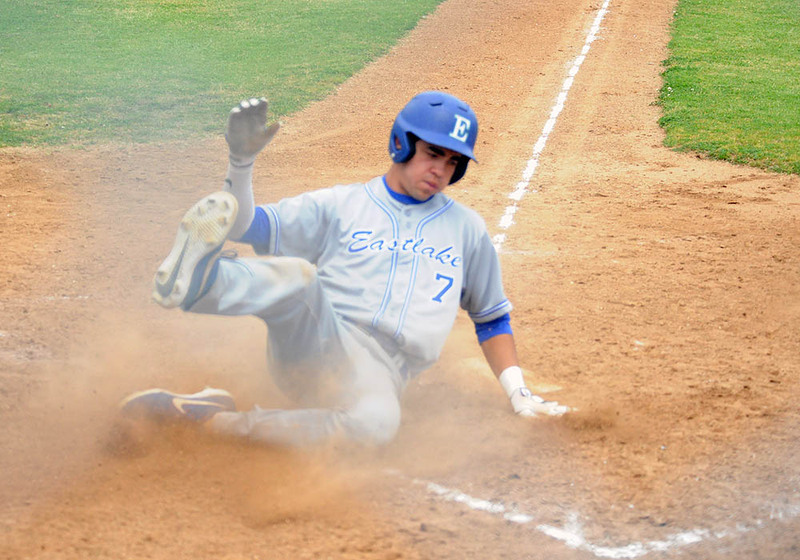 Eastlake defeated Hilltop, 9-2, in last Friday’s series finale to improve to 6-0 in league play. Underclassmen dominated the score book in helping the Titans secure their 14th victory in 16 outings. Sophomore Ray Cebulski pitched the opening five innings, scattering five hits while allowing two earned runs. Juniors Josh Smith and Zack Armstrong each pitched one scoreless inning in relief. Sophomore Marcelo Mayer swung the big stick with three hits and two RBI while senior Iran Fuentes collected two hits and two RBI. Sophomore Walker Lannom, a member of Sweetwater Valley Little League’s 2015 Little League World Series team, was credited with an RBI double. 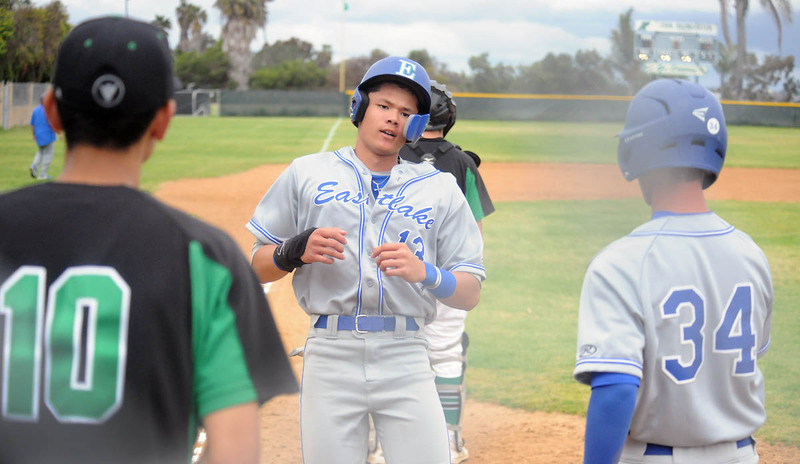 Eastlake built a 4-1 lead in the early part of the game before tacking on five runs in the later stages of the contest. Cebulski and Armstrong each recorded two strikeouts while on the hill. 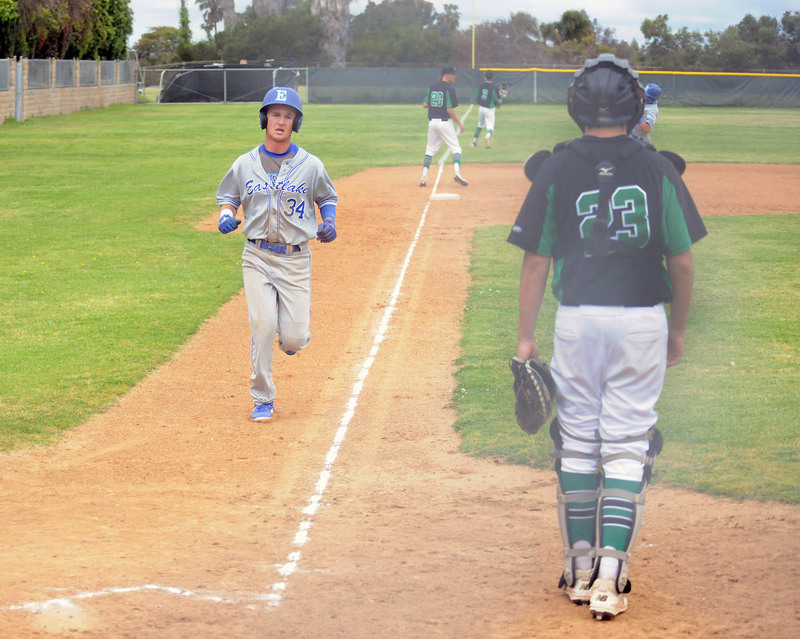 Bret Leonhardt, a former Chula Vista American Little League all-star, hit a home run for Hilltop. 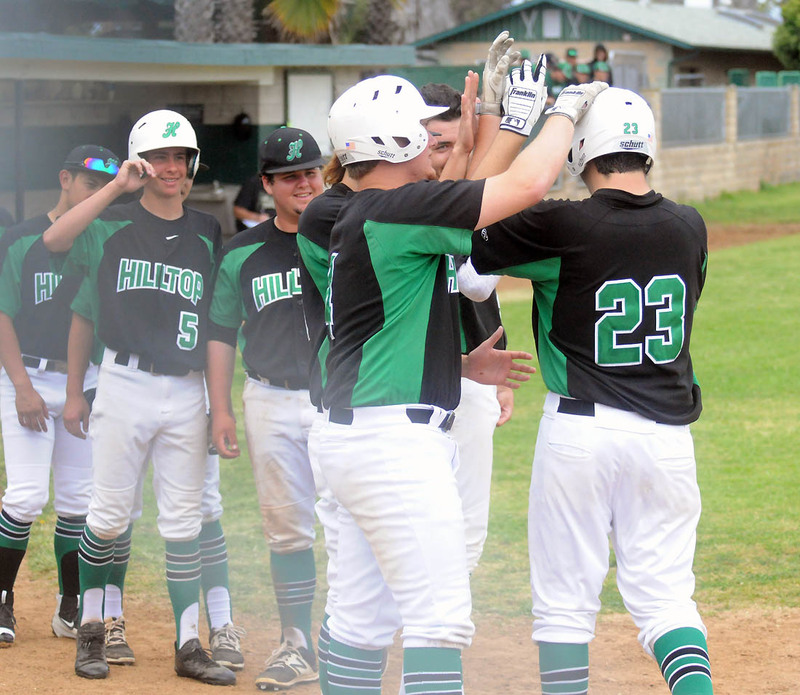 The Titans open a two-game series against the Chula Vista Spartans on Tuesday (at CVHS) and Wednesday (at EHS). Both games are scheduled to start at 3 p.m. Teams will break from league play to participate in next week’s annual 69th Lions tournament. 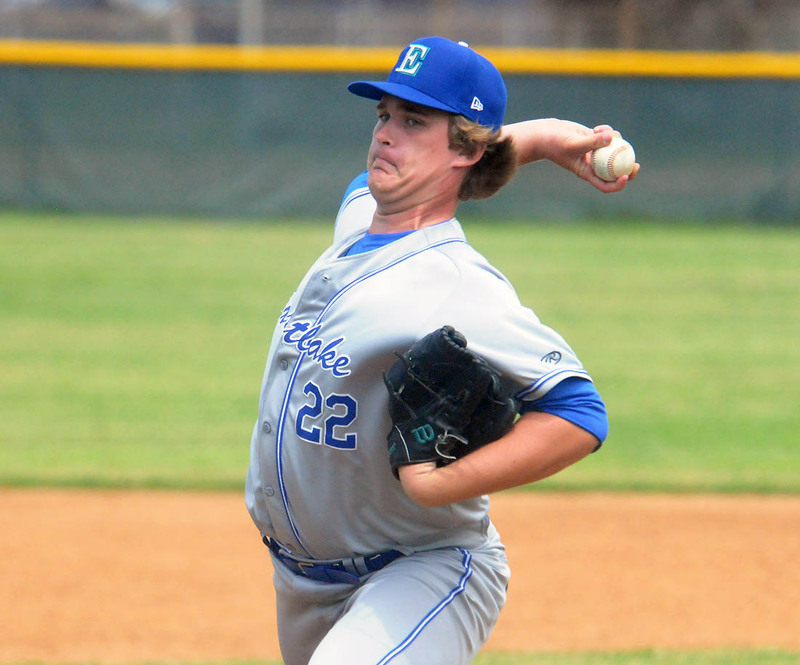 Eastlake will host Las Vegas Desert Oasis in Monday’s Open Division opener, host Agoura on Tuesday and close out pool play with a game at Torrey Pines on Wednesday. 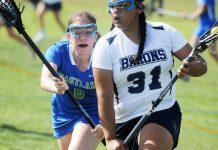 Local teams entered in next week’s Lions tournament also include Bonita Vista (Classic Division), Otay Ranch (Premier Division), Montgomery (6A Division), San Ysidro (6A Division) , Olympian (5A Division), Hilltop (4A Division), Sweetwater (4A Division), Chula Vista (4A Division), Mar Vista (3A Division), Southwest (3A Division), Castle Park (3A Division), High Tech Chula Vista (2A Division) and Calvary Christian Academy (1A Division). For a full tournament schedule, visit the website at www.lionsbaseball.org. 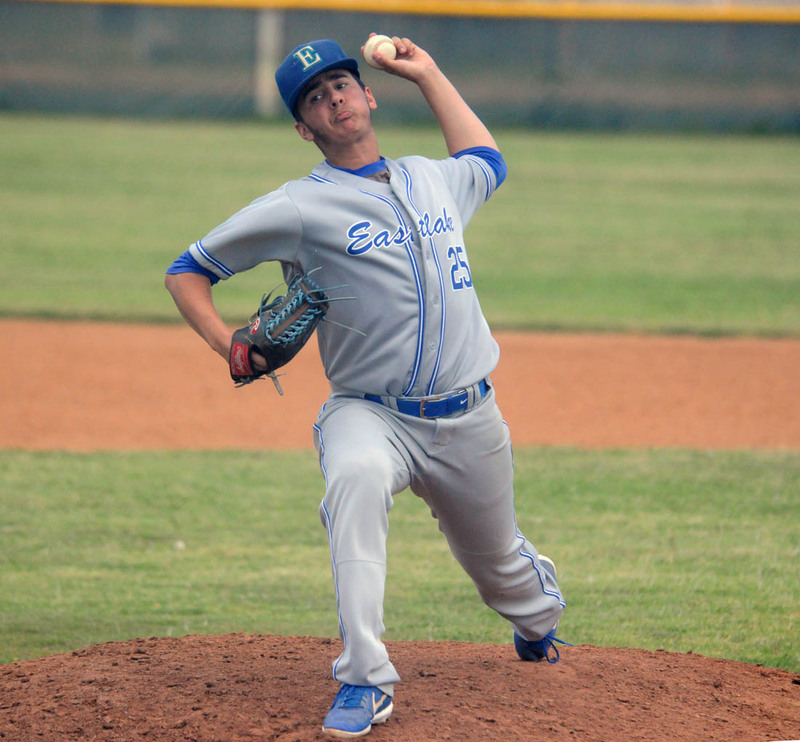 Eastlake High School’s top-ranked baseball team picked up two more wins in a series sweep this week over the Chula Vista Spartans to improve to 8-0 in Mesa League play, 16-1-1 overall. 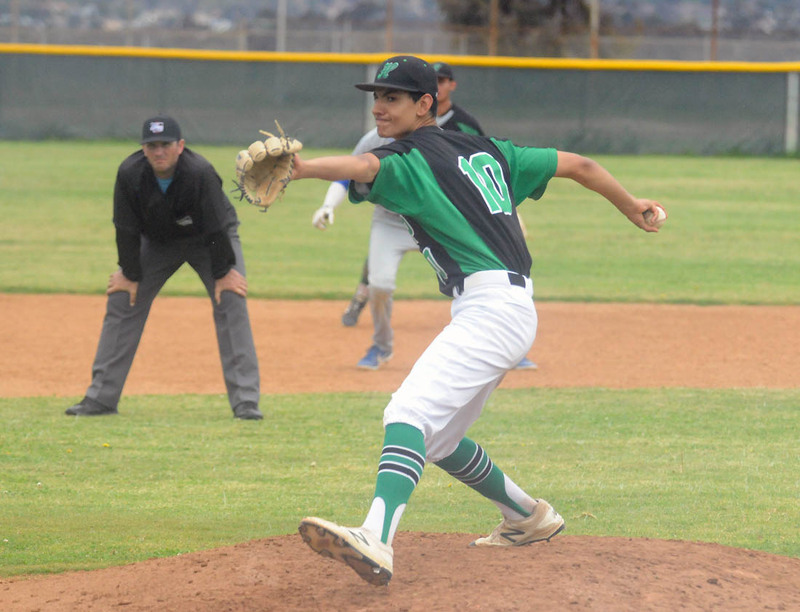 Ricky Tibbett improved to 5-0 on the mound after allowing two hits while striking out seven batters in five innings in Tuesday’s 5-1 win at CVHS. 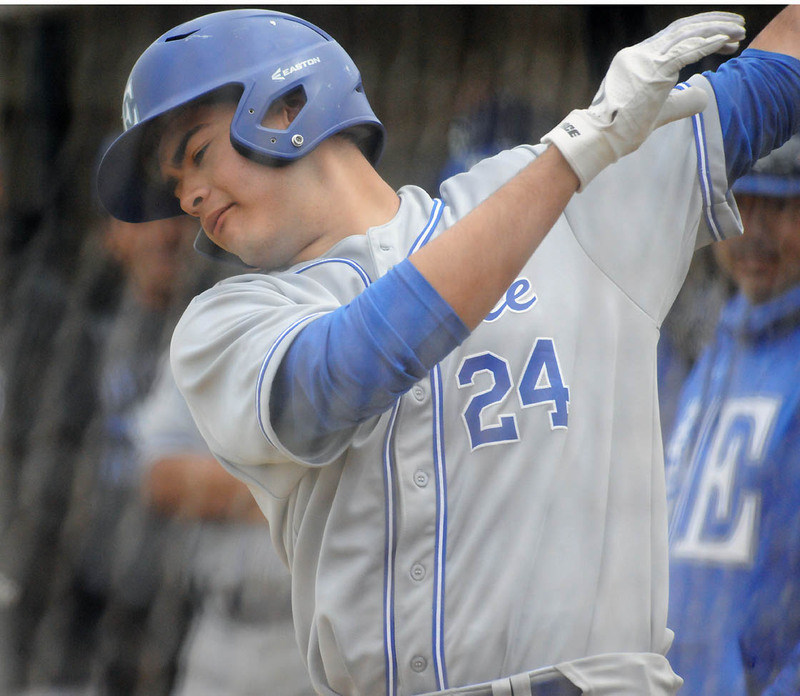 Marcelo Mayer drove in two runs while senior Jake Cekander went three-for-three with one RBI and two runs scored. Iran Fuentes and Keoni Cavaco each drove in one run. Juniors Dante Schmid and Jacob Saldana finished up in relief. The Titans swept the visiting Spartans with a 13-1 win on Wednesday. 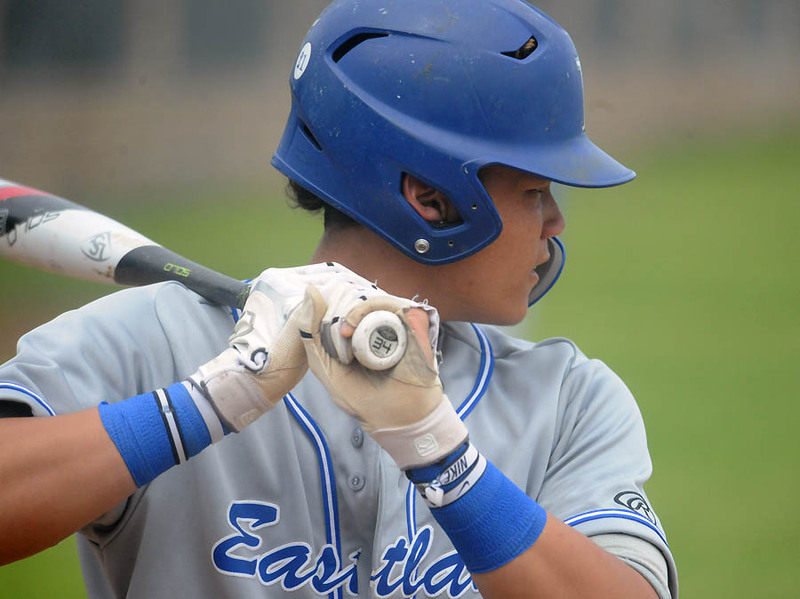 Eastlake scored 13 runs on 13 hits while holding Chula Vista to one run on two hits. I was looking for some articles that you guys wrote about me when I raced street stocks up at Southbay speedway. Under the name of Mike Savoy or maybe slippery Savoy.